Print books purchased . 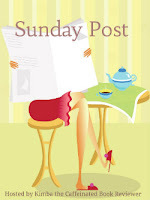 . .
Sunday's Weekly Book Recap #37 was originally published by Catherine for bookclublibrarian.com. This post cannot be republished without attribution.